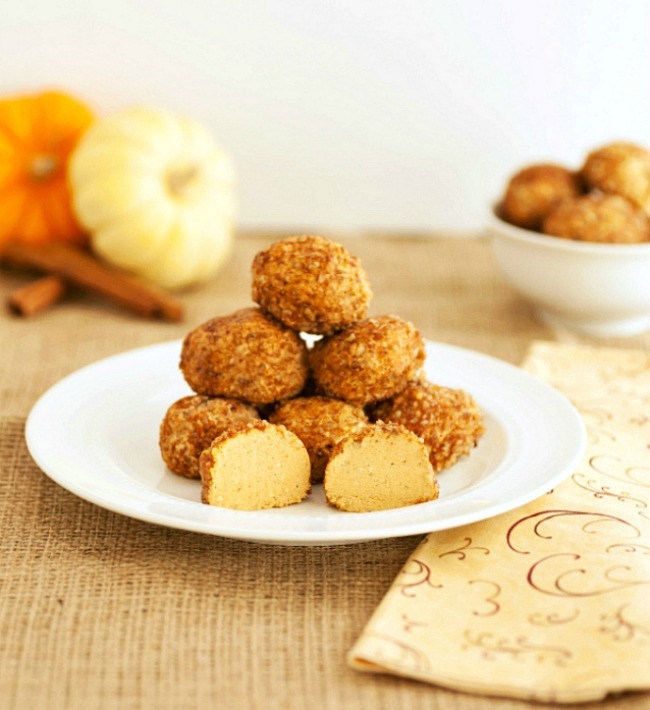 These No Bake Pumpkin Cheesecake Bites are very easy to make, little pumpkin cheesecakes rolled in a sweet pecan cinnamon coating. Freeze the mixture in the bowl or in a round candy mold (or ice cube tray) for 15 to 20 minutes or more until just firm enough to form into balls. In a medium bowl combine all the coating ingredients and stir together. Set aside. Using a cookie scoop or your hands, form a ball or mound with the chilled pumpkin cheesecake mixture ( or release from the candy mold). 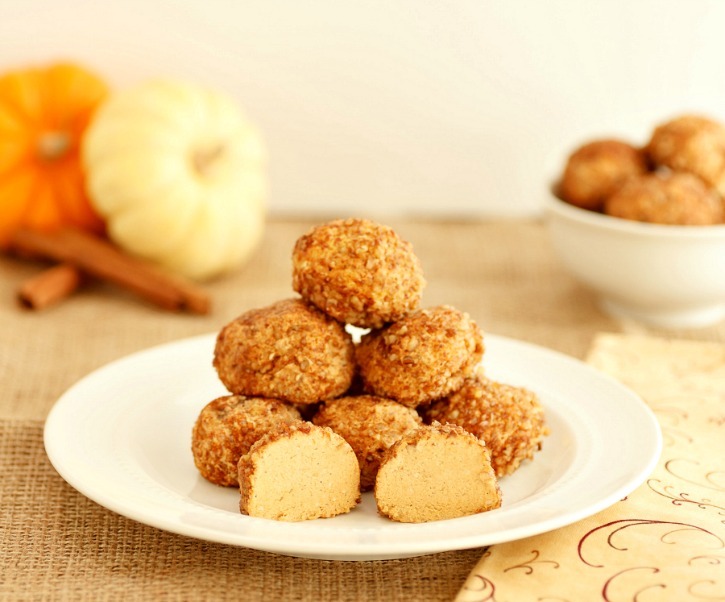 Roll each cheesecake ball in the coating until covered, and place on lined baking sheet. Re-freeze for 20 minutes or more until somewhat firm, then serve. Store these in the fridge in a covered container (may need to refreeze to get firmer). 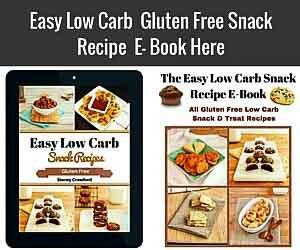 Nutritional Data for Low Carb Version (using swerve sweetener): Servings: 7 (2 ball servings) , Serving Size: 2 cheesecake balls out of 14 total, Cal: 158, Carbs: 3 g, Net Carbs: 2 g, Fiber: 1 g, Protein: 3 g, Fat: 15 g.
Nutritional Data for Primal Version (using coconut sugar option): Servings: 7, Serving Size: 2 balls, Cal: 210, Fat: 15 g, Protein: 3 g, carbs: 17 g, Net Carbs: 16 g, Fiber: 1 g.
No Bake Pumpkin Cheesecake Bites are a simple treat that is low carb, grain free, and gluten free. Absolutely amazing dessert! I made these using Lakanto monk fruit classic sweetener and a separate batch using their golden version (its a perfect blend of erythritol and monk fruit, so good for those eating keto) it only needs 3 1/2 to 4 tbsp. I did add a 1/2 tsp more pumpkin pie spice and extra vanilla too. They are ‘lick the bowl clean’ delicious! You can use either one you prefer. I have not tried Gentle Sweet yet, but have heard good things about it. Shut the front door! These are so good! Thank you! Thank you! Thank you! I live by myself and some of the desserts like cakes and pies go to waste but, I was still looking for that small treat I could have besides the store bought chalky tasting things. These are perfect! I was worried about being too sweet so I used just the 4 tablespoons and was pleasantly surprised. I have never been a person who liked eating raw cookie dough but this was different. I wanted to lick the bowl of any residue. I ended up with 8 because my first 2 were quite small. Can’t wait until my son stops by because I think he will really like them also. Awe, thank you, Susan, for trying the recipe and taking the time to leave a comment with very kind words 🙂 It really makes my day! I am deathly allergic to nuts! 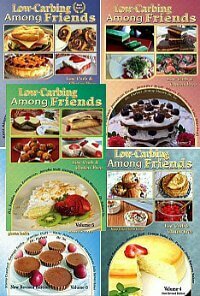 I was wondering if there is another coating that you recommend that would stay low-carb? Yes, Sara, you can use sunflower seeds (nut free option) for the coating instead. Simple, quick and delicious – a perfect dessert!nThanks for sharing. Made these today. They are wonderful! My husband loved them too. Will definitely be making again. Could you make these still even if you left the coconut flour out? Yes, you can make these without the coconut flour. I just made the cheesecake filling and – WOW! Delicious! Can I roll these now and leave them in the freezer until Thanksgiving? If so, how long should I thaw them before serving? If not, will it keep in the fridge until then and I’ll freeze them Thanksgiving as we eat so that they will be firm when we’re ready for dessert? What do you think? And thank you! Theresa, Yes you can freeze them until Thanksgiving, and maybe put them on the counter to thaw for about 20 to 30 minutes before serving. Almonds, macadamia nuts can be used and sunflower seeds or pumpkin seeds for nut free. Almnds are okay with a tree nut allergy?? If so, this would be amazing news! No, it suggests almonds instead of pecans, but it says pumpkin seeds or sunflower seeds for a nut free version. I like the cocoa powder idea! Couldn’t find coconut flour at the grocery store so I grabbed Flaxseed Meal. Do you think this alternative will work? Or totally ruin your recipe? I’m not sure if flax meal would work out in this one. These are really delicious. I ran out of the pecan coating and made more using pistachios for the last 3 balls. I would use this recipe without rolling into balls; maybe as a desert parfait or a no bake pumpkin cheesecake pie. Simple ingredients and good. Thank you so much, VHM. It is also yummy as a parfait. Taylor, Yes I would think you could, but you would need to use 3 times as much and may need to freeze the batter longer. I used Almond flour the first time and I actually liked it better. The coconut flour made it a little spungy. i used almond flour as well. I just used twice as much and as they came out amazing! How many is considered to be one serving? Thanks! Thank you so much, Albert 🙂 I love your recipes! Amazing! Week 5 on keto and I was craving something sweet. My kids each tried one and begged for more. I used macadamia nuts and walnuts since that’s what I had on hand. Thanks for the recipe! I will be making these for the holidays! Thank you, Alison, for trying the recipe and your very kind words! My pumpkin cheesecake mixture has been in the freezer for an hour and I still can’t form it into balls. What can Ido? The balls don’t need to be perfect, and they will get all over your hands a bit, but once rolled in the coating they will look better shaped. I was feeling the need for something sweet yet keto. We had all the ingredients in the house and whipped them up. Left them in the bowl in the freezer for 45 minutes. Then scooped them with my cookie scoop (my favorite kitchen tool) and threw them back in the freezer on a baking sheet. I sprinkled some topping into the bowl and cleaned it out and yum. I have a road trip tomorrow and these will be with me to keep me from the donuts. Samantha, thank you for trying the recipe, your kind words and sharing your tips with us. Have a fun road trip! These are delicious! However mine don’t seem to be very firm when refrigerated, but rather kind of “goopy”. Did I do something wrong? Cassie, I usually freeze them first, and only refrigerate to defrost if I leave in the freezer too long. Are the nutrition facts based on 1 ball or all 14. It says per serving but I’m not sure if a serving is just one or all? One ball is a serving. Is it 2 balls per serving or 1 ?? Tracy, it is 2 balls per serving. I fixed the recipe card as it is a plugin that updates and sometimes changes the format which makes it confusing. If I used fresh pumpkin instead of canned puree, do you think I would need the same amount? Fresh pumpkin tends to be a but runnier. I would think canned pumpkin would hold together better. Not sure how much to use for fresh. Jodi, Thank you for trying the recipe and I’m so happy they turned out good with the sweetener you used. Can I use a liquid sweetener? Michelle, I dont think liquid sweetener would work in the pecan coating, maybe in the cheesecake part though. I’m curious roughly how many balls does this recipe make? I am hoping to feed a party of 25. Should I double the recipe? Can I make a large cheesecake and then sprinkle the topping on? How do you think that would turn out? Wendy, you could do that, but might want to use the small to medium size cheesecake pan, as some are so big that it might not cover the whole pan without doubling the recipe. Ok. I was planning to make these to serve at my class reunion this weekend, but reading comments has me worried about getting them to set up and then staying firm while out on the dessert table. Any thoughts? Can I use Splenda? My daughter needs me to make something for her church rummage sale and I thought maybe she can put a couple in a cupcake wrapper and sell them that way. I would think you could, but I’m not sure how much as I’ve never used it before. Also you would need to freeze them extra firm if they will be out awhile, otherwise they get messy & melt. Made these. Didn’t set in the bowl and the parts that did it was so hard I couldn’t do anything with it. I want to make it again but not sure where I went wrong. Mary, I’m not sure but maybe they were frozen too long?? You could put the mixture in small containers until creamy but a little firm and sprinkle the coating on top (like a parfait) instead of rolling them in balls. I loved this recipe. I added just a bit of coconut extract and rolled them in unsweetened coconut. I love your recipes. Oh thank you! I didn’t have pecans on hand but I do have unsweetened coconut! I made these tonight… Omg heaven!!! Thank you for sharing!!! Is it possible to use graham cracker instead of pecans? Lauren, You use could crushed graham crackers instead if you prefer. I can’t have them, as I have wheat allergies. 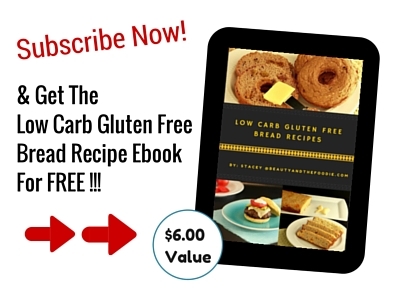 check out http://www.mrsgleesfoods.com/home.html they have a wonderful graham cracker mix made with navy bean flour! Going to try this pumpkin cheesecake recipe for Thanksgiving! sounds yoummy! Thank you Alaine, I will check that out. I too had a problem with mine not setting up. Had to leave in freezer for over 3 hours and had to use a cookie scoop to get them into ball form. I am thinking the problem lies in the canned pumpkin – some have a higher moisture content. Probably the best solution for that is to let pumpkin sit in cheesecloth and drain for awhile although I haven’t tried that yet because I just made these tonight for first time ever. Flavor is good but the crumble on outside is what sends these over the top! I made these like peanut butter bombs. I let the cream cheese get to room temperature. I combined all of the ingredients at once in a bowl and used a fork to mash everything together. I used about a 1″ cookie scoop and made the bombs. Adding that amount of coconut flour will take care of the stickiness problem. I lined a cookie sheet/paper plate, etc with parchment paper. I froze the bombs for about 30 minutes. I store them in my refrigerator in a baggie. I think if any bombs set out, they get really soft and mushy. This made about 30 bombs. Happy Eating!!! Interesting, I have not tried that brand of syrup yet. Sounds good, though. Can you use just regular sugar or will that ruin them? Kim, Yes you can use sugar . It wont ruin it (probably will taste very good), but it will not be paleo or low carb. Are canned pumpkin (not pumpkin pie filling) and pumpkin puree the same thing? Kathy, Yes canned pumpkin is the same as pumpkin puree. Tried these with suggested 6 T of sweetener and I’m wondering if that was a typo. WAY too sweet. I will make again and test taste after each T. Love the pecan coating! Lindy, you can use anywhere from 4 tbsp to 6 sweetener depending on which kind you use (some are much sweeter than others). I will re-adjust that to taste in the recipe so it can be more adjustable. Thank you for letting me know. Made these and they are great. Is the recipe only supposed to make 14 balls? I must have made mine smaller, because I had about 25. Hi Carmen, I did make the balls medium to larger size (about the size of macaroons). But making them smaller is probably even better for the rolling part. Aw, dang, I wanted to see the funny typos! 🙂 I LOVE catching typos. I also LOOOOVE anything pumpkin, especially if it is carb friendly! This sounds SOOO good. Can’t wait to try it! 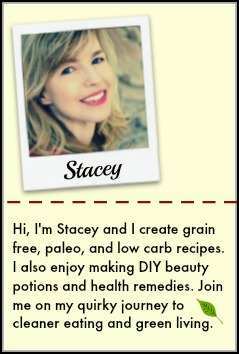 Please add me to your mailing list! Thanks for all the great recipes! Thank you Meda. I usually have a knack for making funny typos, and it is rare when you can’t find any. 🙂 I will add you to the mailing list. Hi. I want to try this but I am allergic to pecans. What else can I use for coating? Margaret, you can use ground walnuts, or almond flour. I just made these. 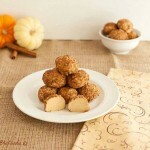 I used “stevia in the raw” to save on the amount of sugar; 4 tbsp in cheesecake ball and 1tbsp for the coating. They just would NOT firm up enough to roll. I left them in freezer the first time for 15 minutes, then another 10, then another 15…just wouldn’t firm up. Gave up because out of time and just starting rolling a semi ball in the coating. Not sure if it wouldn’t firm up from the stevia or what but I recommend using the small scoop or spoonful, then firming in fridge or freezer, THEN roll in the pecan coating. I think this step will make them prettier to serve. I placed mine in mini halloween cupcake liners. Goldie, I am happy they they taste good and finally turned out for you, and sorry if the they were difficult to form into a rounded mound. I am thinking maybe would be better to put the mixture into a mold , ice cube tray, or cake pop pan or silicon cupcake liners, and then freeze, and maybe sprinkle coating over the top. I did not have any trouble but perhaps my freezer it colder than most. The mixture tastes wonderful with the pecan coating though lol. Hi Tess, thanks for trying the recipe. I am thinking a mold or ice cube tray would be the way to go with these. Mine firmed up enough to roll but I think my freezer in extra frosty or something, and my hands are cold too, lol. It may work in a small muffin pan lined with parchment paper cut outs at the bottom too. Sounds so yummy!! Can I use stevia or simply omit the sweetener? Have you tried it yet? Amy, yes you can use stevia. Just add sweetener gradually, and taste test until the right amount of sweetness that is desired. I would not omit the sweetener, as it would be very bland. 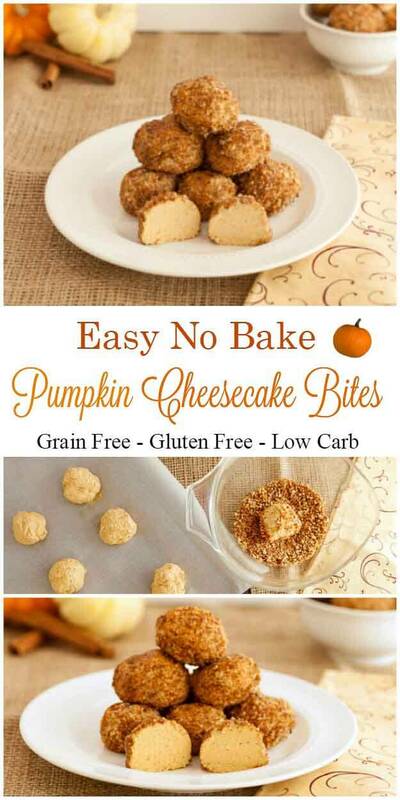 Im all about pumpkin cheesecake, especially with its healthy and no-bake like these treats!! Love them! So creative, can’t wait to make them out of some leftover pumpkin :)! I LOVE this recipes, pumpkin and cheesecake and no baking. What could be better? 🙂 Cheryl, I corrected the funny typos! Thanks. Hi! So after reading all of the comments, are they best kept in the freezer?? How long will they last in freezer or refrigerator?